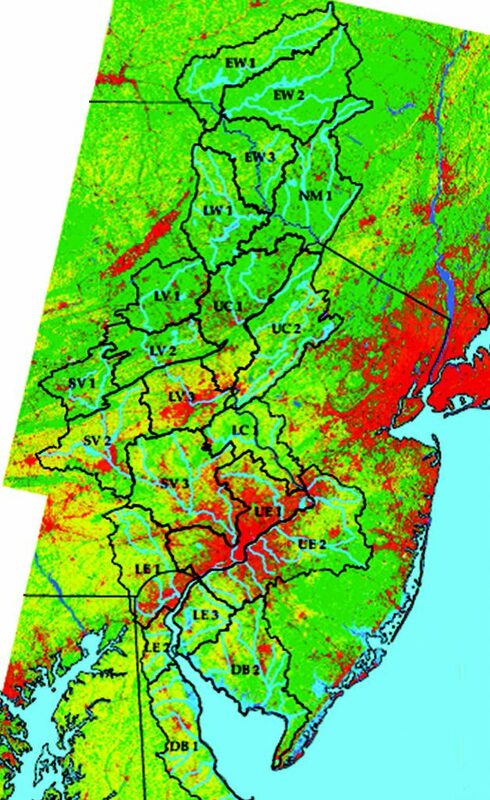 The Delaware River basin is a valuable ecological and economic resource that supplies drinking water to five percent of the population of the United States. Located in Delaware, New Jersey, New York, and Pennsylvania, the basin supplies drinking water to the nation’s first (New York City) and seventh (Philadelphia) largest metropolitan economies, and supports the largest freshwater port in the world while sustaining a recovering anadromous shad and striped bass fishery. The Delaware basin contributes over $22 billion in annual economic activity from potential Marcellus Shale gas extraction ($425 million), recreation ($1.2 billion), fish/wildlife ($1.5 billion), public parks ($1.8 billion), water quality ($2.5 billion), navigation ($2.6 billion), agriculture ($3.4 billion), water supply ($3.8 billion), and forest ($5.1 billion) benefits. The value of natural goods and services from Delaware basin ecosystems is $21 billion ($2010) with net present value of $683 billion with contributions from Delaware ($2.5 billion), New Jersey ($6.6 billion), New York ($3.5 billion), and Pennsylvania ($8.6 billion). The Delaware basin supports 600,000 direct/indirect jobs with $10 billion in wages in the coastal, farm, ecotourism, water/wastewater, ports, and recreation industries. This research demonstrates that the Delaware River basin provides significant economic benefits to the region and is worthy of priority investments by elected officials and decision-makers to protect and restore these natural resources. Jerry Kauffman, University of Delaware Water Resources Center, Newark, Del.